Sunlight is the clear favourite to win the Group 1 William Reid Stakes at Moonee Valley on Friday after enjoying a remarkable rise to prominence. The three-year-old upstaged older rivals to land the $1.25 million Newmarket Handicap at Flemington earlier this month. It was her second successive Group 1 victory and she has already made $3.8 million for connections after winning nine of her 14 starts. Trainer Tony McEvoy warned rivals that there is still a lot more to come from his budding superstar and it will be fascinating to see her in action in the William Reid Stakes. The Newmarket Handicap, the most prized spring contest in Australia, is the key lead-up to this race. It takes place a fortnight earlier and is run over the same distance. The legendary Black Caviar completed the Newmarket Handicap and William Reid double in 2013, and now Sunlight is bidding to follow in her footsteps. The bookmakers listed at Punters make her the favourite to surge to victory and deservedly so after her emphatic victory at Flemington. After that, he is looking at The Everest, the richest race in Australia, and then the $7.5 million Golden Eagle, an exciting new addition to the Sydney season. If Sunlight can prevail on Friday, she will be among the favourites to win those two eagerly anticipated races. However, she will face fierce competition in the William Reid Stakes. It comes with a $500,000 prize purse and it attracts many of the top sprinters in the business. 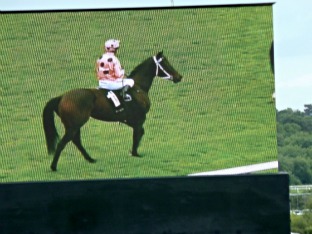 Black Caviar won it twice during her glorious career, as did Apache Cat, while other notable winners include Campaign King, Vo Rogue and Hareeba. The field is expected to be stacked with quality, with superstar sprinters such as Manuel, Fell Swoop, Baller, Voodoo Lad and Malaguerra all potentially in the mix. However, historical trends look pretty favourable for Sunlight. It is a weight for age race and three-year-olds have flourished in it, with Yell, Regimental Gal, Virage De Fortune and Foxwedge all storming to victory in the past 15 years. She has already won the key lead-up to the race, and connections can take comfort from the success that favourites have had here. Black Caviar was the shortest priced favourite to win, at just $1.05, but Apache Cat won at $2.11, Regimental Gal at $2.75, Strategic at $2.50, Zeditave at $2.00, Campaign King at $2.63 and Manikato at $2.11, so the $2.50 Sunlight is sure to receive plenty of backers. Five favourites have saluted in the last 12 renewals of the race. You rarely see more than 100 runners in the William Reid Stakes, so the barrier draw is not too important, but Barrier 1 has been the most successful, yielding seven winners since 1983. The race has been going since 1925 and the prestige associated with winning it is huge. Trainer Grahame Begg believes it represents a great opportunity for star colt Written By to test his mettle against some of the nation’s top sprinters. He was sixth in the Black Caviar Lightning Stakes in February, but Begg insists he will be a much more exciting prospect over 1200m than he was over 1000m. “He’s on song for the William Reid,” said the trainer after watching the colt run a polished 44.56 seconds to beat Belwazi in an 800-metre trial earlier this month, despite not being pushed out by jockey Clayton Douglas. Begg said the Lightning Stakes was a funny race, as they did not gallop much in the early stages and then dashed home the last 600m in 33 seconds, leaving him flat-footed. He believes that the pace of the William Reid Stakes should suit Written By better, and McEvoy agreed that the Lightning was an odd race. Sunlight finished third that day, behind In Her Time and Osborne Bulls, but she turned it around by beating Osborne Bulls to win the Newmarket Stakes. She has only made one appearance at The Valley, when she finished a disappointing seventh in the Manikato stakes. In that instance, she started slowly and McEvoy’s team blamed the lights, so it will be interesting to see how she responds this coming Friday. She won the Coolmore Stud Stakes on the opening day of the Melbourne Cup carnival last year, eight days after that Manikato Stakes performance, showing her class. She came out of the Newmarket in top shape and connections feel confident of her chances in the William Reid. Osborne Bulls will not run there, so she has a great opportunity to extend her winning streak and head to Sydney with great momentum ahead of the T. J. Smith.